The oil and gas industry, namely hydraulic fracturing, are using industrial filtration more than ever to filter water in various stages of the fracking process. 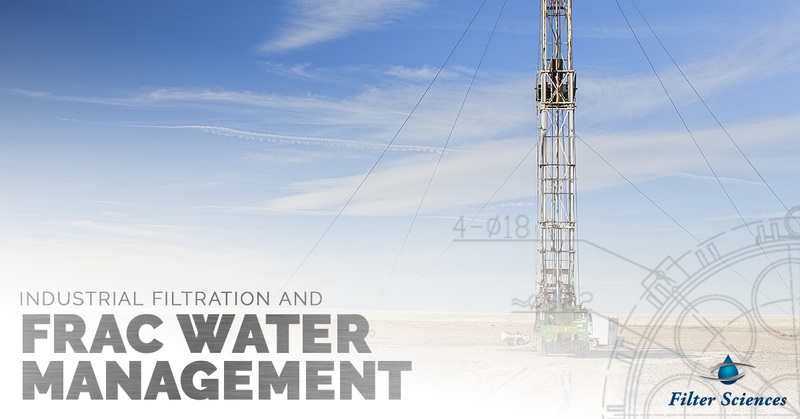 While fracking is a hot topic, it is an industry that has been around for more than half a century, and though it uses an exorbitant amount of water, throughout the decades, new and innovative protocols have been developed to better conserve water. Filter Sciences supports the fracking industry by providing them the technology to better filter and reuse water to aid in the conservation efforts. Join us in today’s post as we take a deeper look into industrial filtration and frac water management. There are various stages that fracking uses water, let’s dive into each of them below. Fracking requires the disposal of saltwater or produced water and along with it, the removal of grit and sand. This stage requires filtration and integration for the elimination of solids, water, and oil. 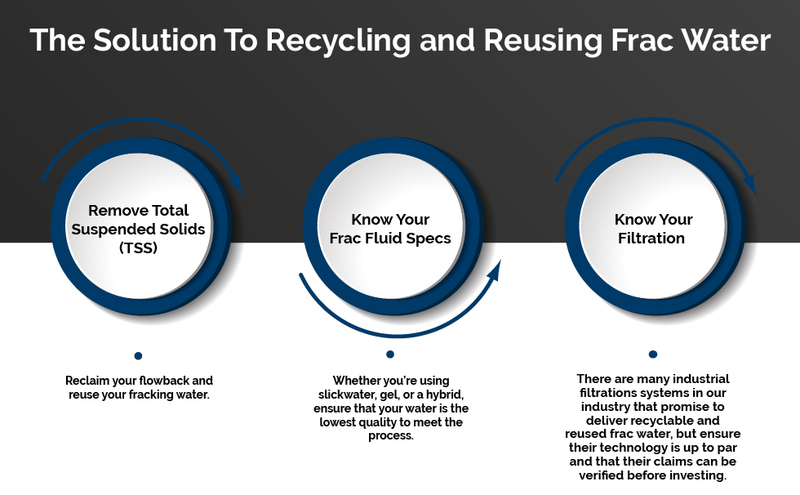 Fracking water is produced from water that needs to be further filtrated to remove other solids and particulates that may hinder the fracking process — filter bags employed typically go down to 10 microns. The fracking sand is much different than the sand you find on a nice sunny beach, in that it needs to be cleaned, screened, and washed. Because the demand for sand is so high, it’s a continual process to create clean and uniform sand to be used in breaking the shale. What is there to wash from the sand? The sand is rinsed clean of any minerals and clays before it’s pumped into the drill site — from here, the water is further processed through a filter press at a high flow rate. As the water and sand are pumped into the ground at a high rate, the drilling hole eventually fills with water and sand. When this is complete, the drill exits and the water and sand and forced through pressure to return to the surface. 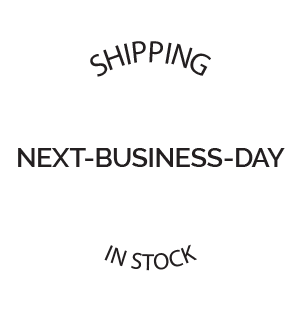 One way to image this is by filling a balloon with water. As the balloon expands and fills through water pressure it stays put, but once it’s removed, the water comes spraying back out! This is essentially the fracking flow back water. Beyond what comes back to the surface, there is also water underground known as produced water. The water that surfaces through the fracking process may contain sodium, heavy metals, magnesium, barium, calcium, radioactive materials, and hydrocarbons — this must all be filtered and purified before it can be reused. 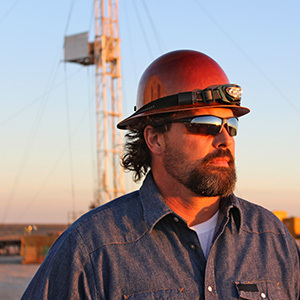 A typical frack job uses anywhere from three to five gallons and roughly one-third of that will return to the surface. How water is both filtered and treated is important to the fracking industry because not only is it important to conserve and reuse water for ecological sustainability, it’s vital to keep the water safe, and particulate-free. 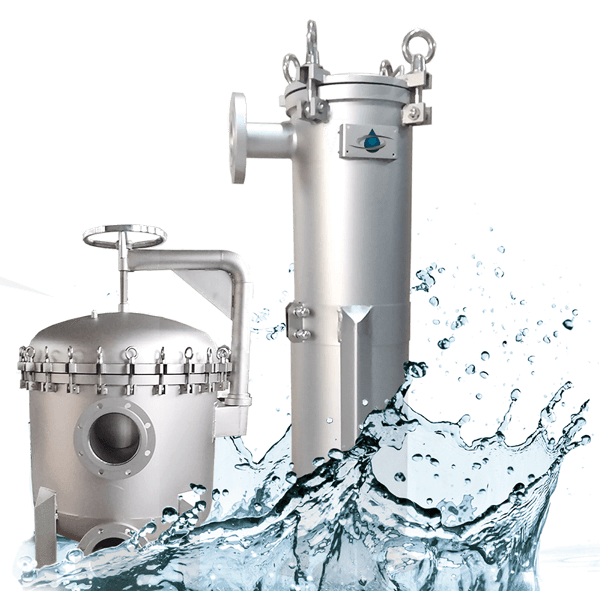 At Filter Sciences, we provide an innovative, stainless steel filter bag housings that complement many filter media, making them work with the intricacies of the hydraulic fracturing industry.  Not only can we assist in the standard process of total dissolved solids, radionuclides, and inorganic material, we can help guide your operation towards optimal efficiency for filtration equipment that does exactly what you need.  Partner with us today and discover why our industrial filtration is right for your industry!